In Santa Barbara County’s version of the Delta turmoil currently rocking State Water agency heads, South Coast water managers continue to hash out the details of the Cachuma Operation and Maintenance Board (COMB) list of projects, which all have agreed is pressing. A joint meeting between COMB boardmembers and Carpinteria Valley Water District’s board-which has recognized the need for COMB’s improvement projects, but balked at the cost-sharing agreement for the $16 million bond issue needed to fund the work-on Monday afternoon revealed that although Carp boardmembers still have reservations regarding what their share should be, they seem more likely to go along with what COMB General Manager Kate Rees says is essential to ensure a reliable water supply to the South Coast in the years to come. <strong>CUE THE WATERWORKS:</strong> Making the case for a $16-million bond issue, COMB General Manager Kate Rees stressed the importance of repairs and upgrades to the South Coast Conduit. Rees stressed the importance of getting the projects off the ground, particularly the so-called second barrel, which she said has been fully designed already, has Proposition 50 money secured, and has a completed bidding process. A proposed secondary pipeline running from the Tecolote Tunnel’s outlet at the base of the Santa Ynez Mountains to Goleta’s Corona del Mar Treatment Plant, the second barrel is designed to allow water districts to keep taps running during high-demand summer months using water coming through the Tecolote Tunnel. Currently, both State Water and Lake Cachuma water flow through the tunnel, but due to a limited flow capacity in the first length of pipe on the ocean side of the mountains, peak demand often has been met only by using water from Gibraltar Reservoir. After nearly 90 years in service, though, Gibraltar has lost 64 percent of its capacity. Rees warned that putting off the second barrel could jeopardize the financial groundwork that already has been laid for it. 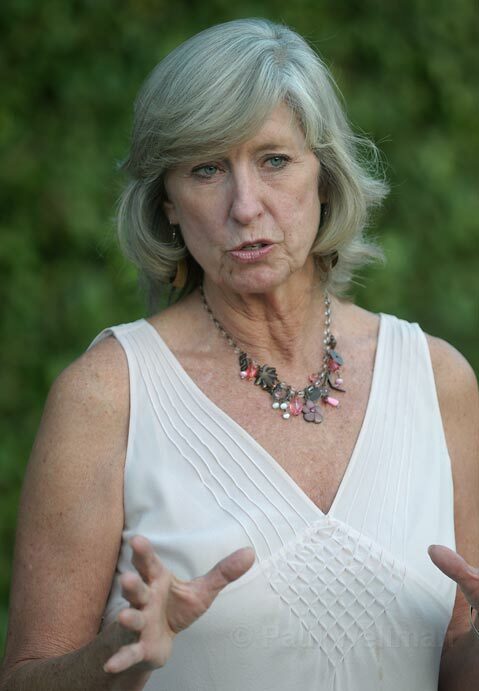 “We really need to move forward now, but we can’t do it without Carpinteria’s help,” she said. “My fears are that all of the projects are going to cost more [than the estimates] and the projects that really matter to Carpinteria will fall off the list,” said Charles Hamilton, general manager of the Carpinteria Valley Water District. Aside from the second barrel, a number of other projects are included in COMB’s list for the $16-million bond issue. “My fears are that all of the projects are going to cost more [than the estimates] and the projects that really matter to Carpinteria will fall off the list,” said Charles Hamilton, general manager of the Carpinteria Valley Water District. Hamilton agreed to the second barrel’s precedence, but tacitly questioned how much good some of the other projects would do his district’s customers. Another of Hamilton’s major concerns was how best to charge non-COMB entities on the South Coast-such as the La Cumbre Mutual Water Company-using State Water delivered through COMB’s pipes. La Cumbre, which serves the Hope Ranch area, bought 1,162 acre-feet of State Water from Santa Barbara last year. While its use of COMB infrastructure is not insignificant, La Cumbre is not presently part of the cost-sharing agreement. Its participation is a very recent addition to the discussion. Montecito Water District’s board of directors had also indicated a level of discomfort with participating in the bond issue and voted last week to pay for its share using its own reserves and private, short-term loans. Tom Mosby, Montecito’s general manager, said he worried about Carpinteria’s current wild-card status in the COMB process, noting that his board is opposed to Carp’s breakdown of cost-sharing, which would put Montecito on the hook for slightly more money.